Map of property situated in the 12th ward of the city of New York belonging to the estate of John Taylor : to be sold at auction by Jas. Bleecker &amp; Sons at the Merchts. Exchange at 12 o'clock on Tuesday the 1st April 1834. Brooklyn, Vol. 2, Double Page Plate No. 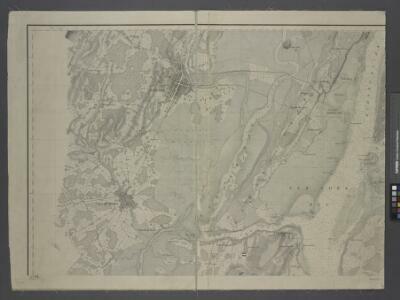 27; Part of Wards 30 & 31, Section 19; [Map bounded by 86th St., 23rd Ave., 24th Ave.; Including Gravesend Bay, 17th Ave.] / by and under the direction of Hugo Ullitz. Brooklyn, N.Y. Bay, Jersey City, Hoboken, Bayonne, Newark Bay. New Standard Map of the Borough of Richmond. Jersey City, V. 1, Double Page Plate No. 40 [Map bounded by E. 40th St., New York Bay, E. 21st St.] / compiled under the direction of and published by G.M. Hopkins Co.
Map of the Village of New Brighton, Richmond Co., New York City, NY. Jersey City, V. 1, Double Page Plate No. 24 [Map bounded by Ocean Ave., Linden Ave., Morris Canal, Avenue C] / compiled under the direction of and published by G.M. Hopkins Co.